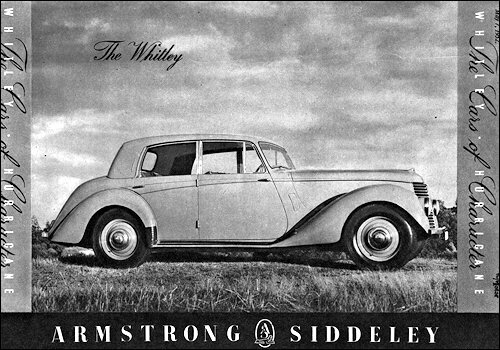 Whitley six-light Saloon joined the four-light version in March 1952. This version has rear quarter lights added to give extra visibility and the rear of the car is rearranged to provide better leg room. 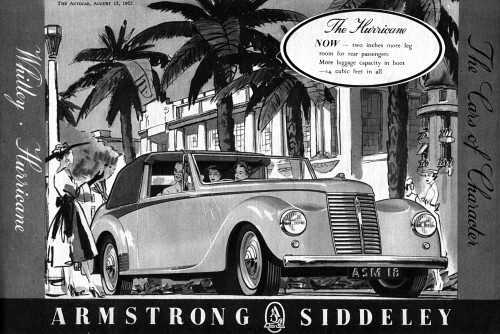 The Lancaster Saloon (see 1950) was end of prod. in March 1952. 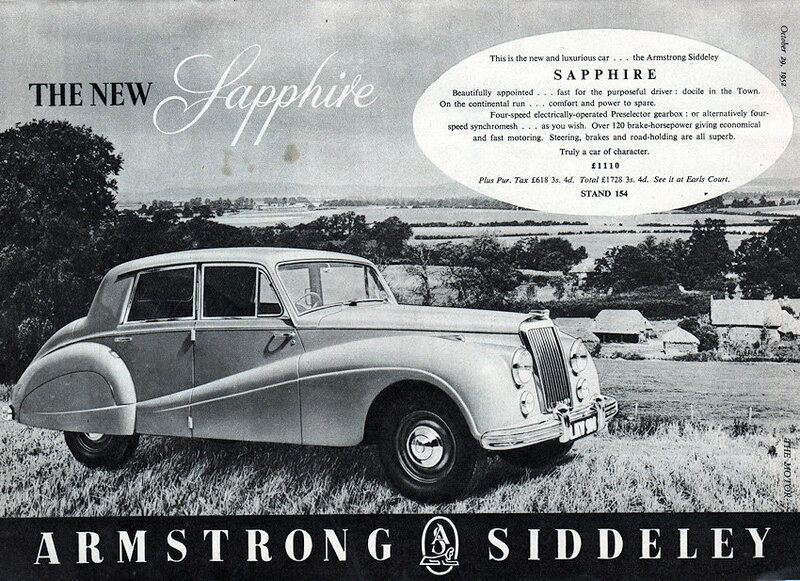 Named after the Sapphire jet engine, new model from 1952, had updated body style in four light or six light configuration, with pressed steel body panels. New chassis has coil spring ifs, leaf spring rear, re-circulating ball steering. All new 125 bhp push rod engine is 3435cc and has twin rocker shafts and hemi head. Transmission was four speed all synchro, preselector.